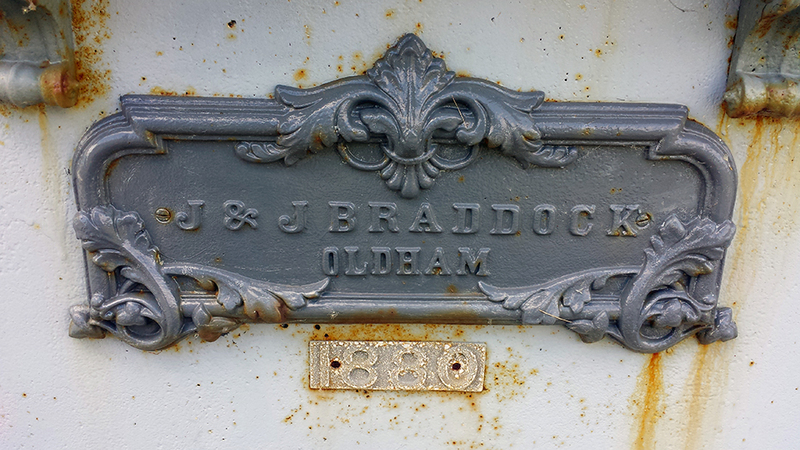 The following images are of the cast iron gas meter made by J&J Braddock of Oldham, England in 1880, situated in the grounds of the Limerick School of Art and Design on Clare Street. 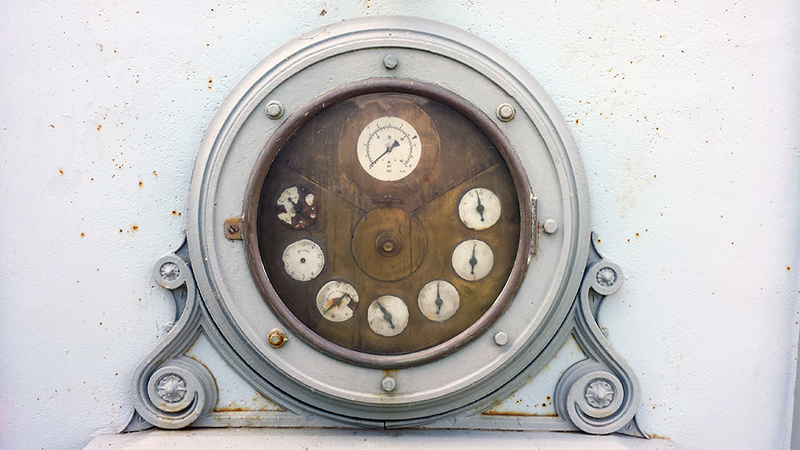 The gas meter measured Limerick’s town gas, this gas was manufactured from coal on the Dock Road from 1880 until 1987. 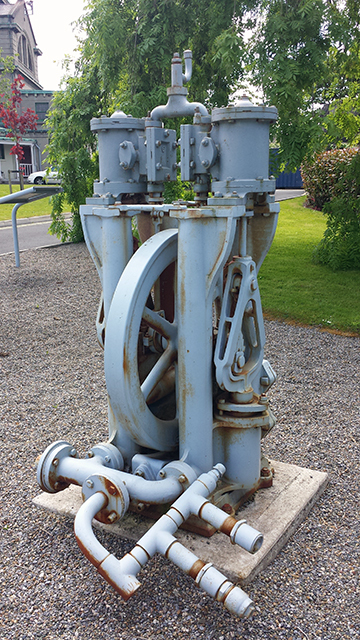 After this it was replaced by natural gas piped into the city. 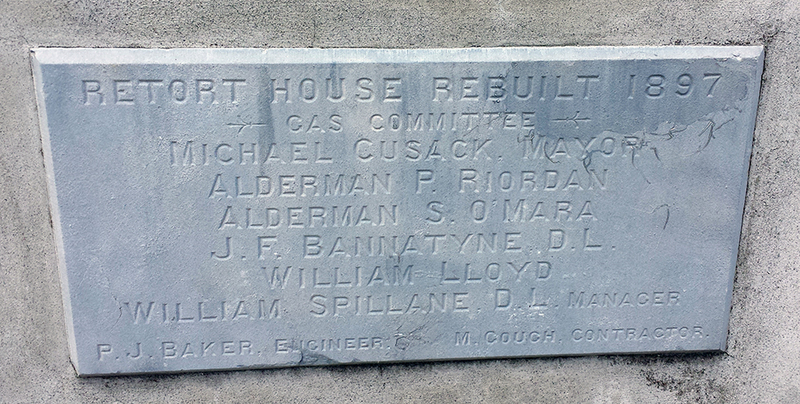 In 1897 the Retort House was rebuilt, the Gas Committee involved were Michael Cusack (Mayor), P. Riordan, Stephen O’Mara, J. F. Bannatyne, William Lloyd and William Spillane. 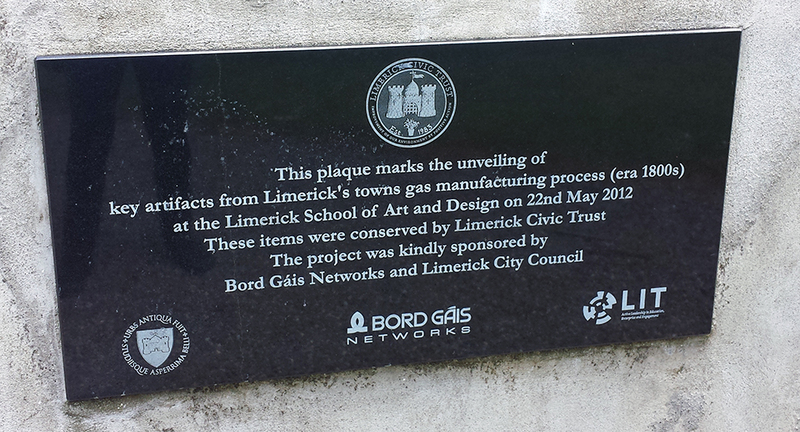 These historical artefacts were restored by the Limerick Civic Trust in 2012. 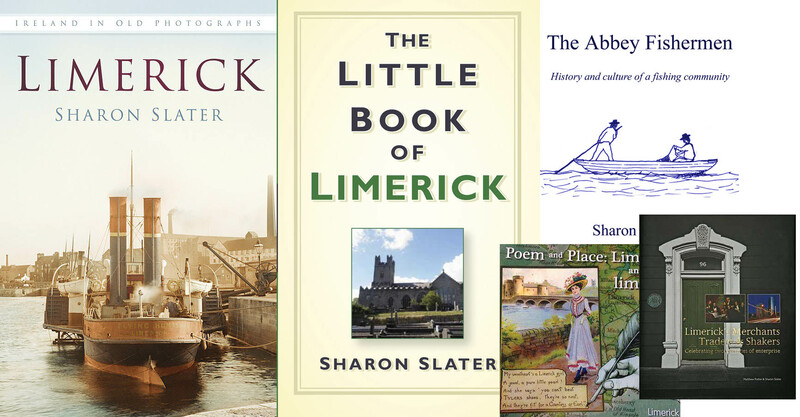 Limerick School of Art and Design, Clare Street Campus is located on the site of an old Lancastrian School, developed by Joseph Lancaster for the education of the poor in the early 19th century. His system was to employ the more advanced boys as assistant teachers, to enable a few teachers to teach a large number of boys. In November 1821, The Christian Brothers purchased the school for £200. In 1858, they let part of the garden to Madame De Beligond, superioress of the Good Shepherd Convent. 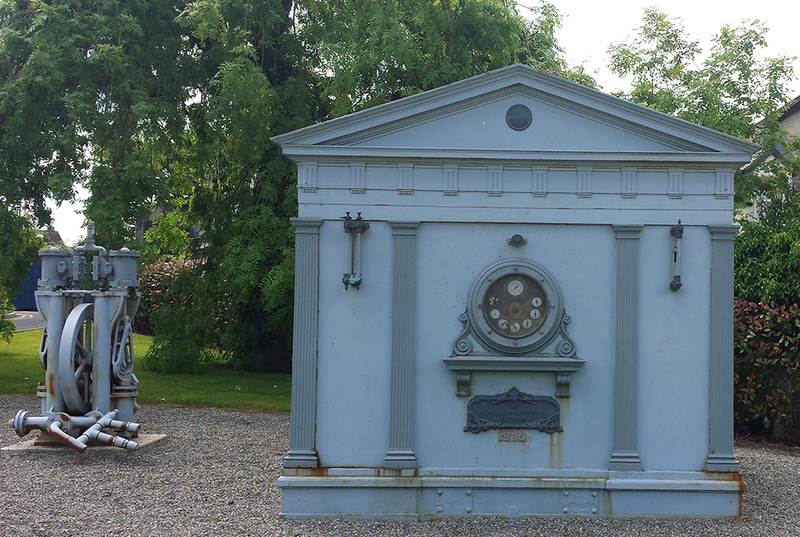 When the Christian Brothers left the building in 1888, they sold it to the nuns, who ran a Magdalene laundry at the site until it was sold to the Regional Technical College in 1994.